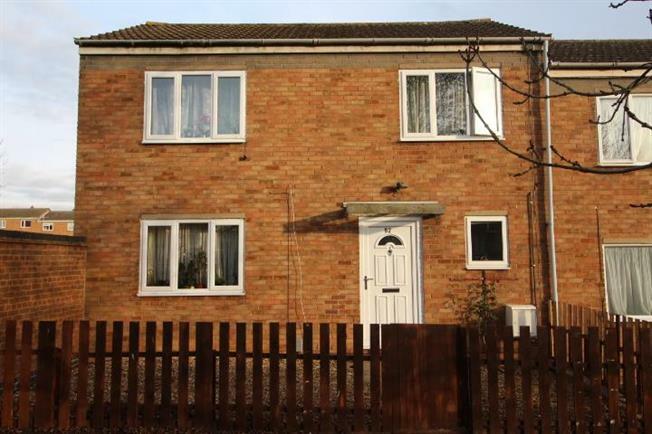 3 Bedroom End of Terrace House For Sale in Huntingdon for £200,000. NO UPWARD CHAIN Attention investors and first time buyers. A great opportunity to buy this spacious three bedroom end-of-terrace house that is conveniently located only a walking distance from the nearest school and amenities including supermarkets, restaurants, leisure facilities and the local cinema. The property is in need of modernising, however benefits from a spacious kitchen with a back door leading onto a good size rear enclosed garden, a reception room, two double bedrooms, one single bedroom and a family bathroom. One of the benefits of this property is the gated driveway at the rear of the garden.